Create special offers to attract your customers to your website's reservation service: Direct Booking means zero commissions! In the next screen you have to set up the discount parameters. ATTENTION! When selecting Normal Offer, Early Booking or Last minute, the applied discount will be displayed in the total price at the time of booking. By selecting Coupon you can provide your customers with a promotional code to enter in the Booking Engine at the time of booking. Select if you want to apply the discount for stays in a specific period. Select if you want to apply the discount for reservations made in a specific period. Enter a description of the discount. 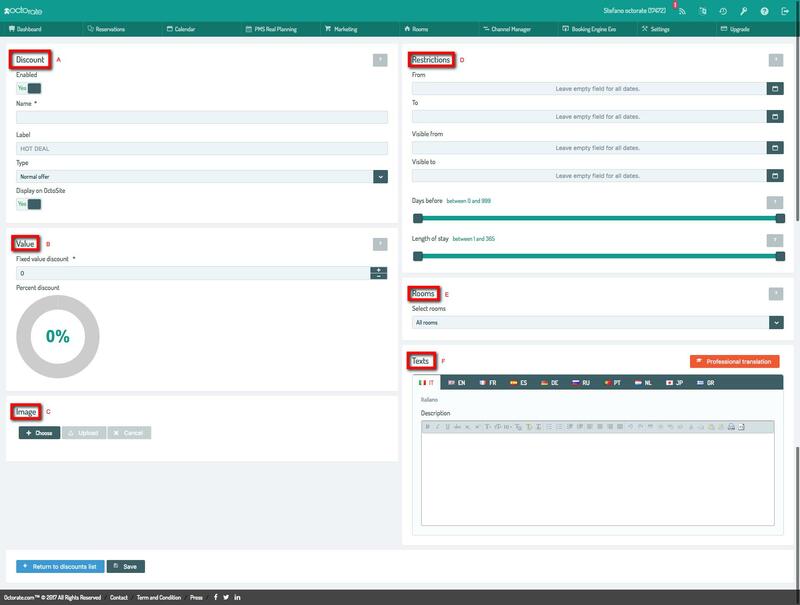 This will be shown to your customers in the room details in the Booking Engine EVO. 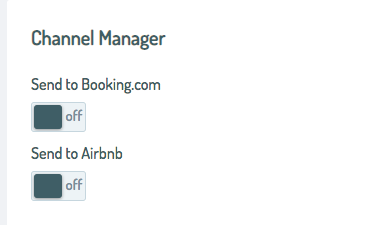 If you have either Airbnb or Booking.com (or both) linked to your Channel Manager, you can send your discounts to those portals! After these settings, click SAVE and your special offer is ready!